More and more fun games have been added to High 5 Casino for our players to enjoy. 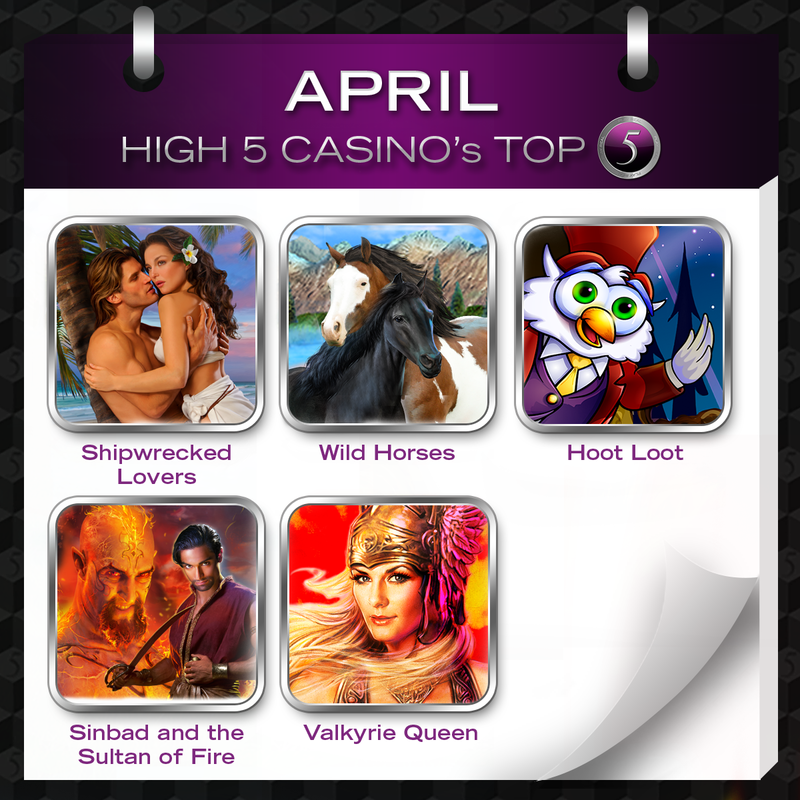 Out of 139 premium games, these five games are our players’ April favorites: Shipwrecked Lovers, Wild Horses, Hoot Loot, Sinbad and the Sultan of Fire and Valkyrie Queen. *The numbers don’t lie! 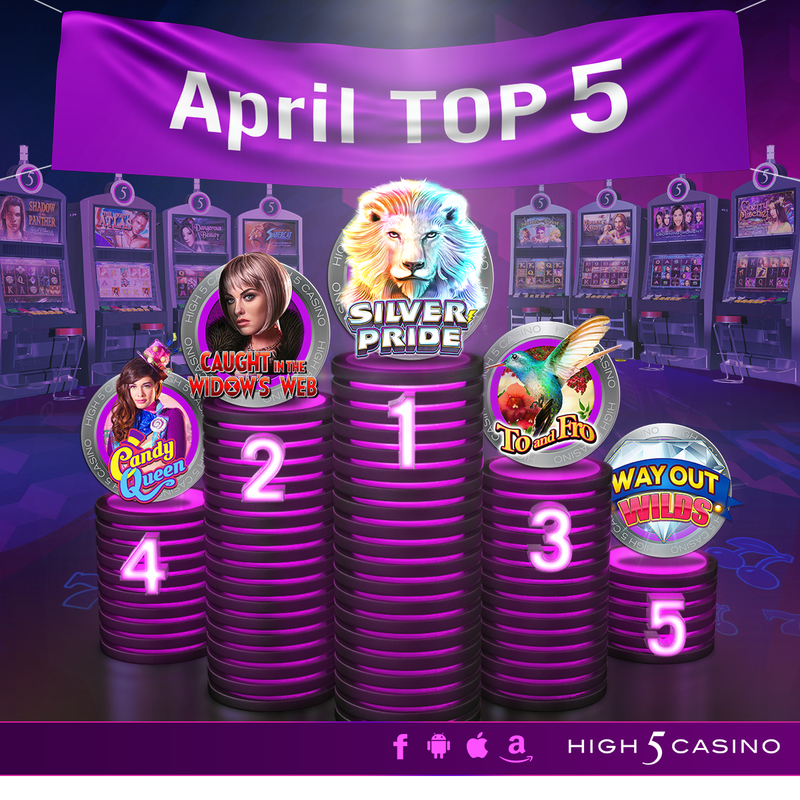 That’s over 7 trillion total H5C cash won at High 5 Casino in April! If each moon trip cost a person 100 million dollars, that would get our 77, 628 players a trip to the moon. What was your biggest jackpot last month? Comment in the conversation bubble located at the top right of the blog post and let us know. Visit High 5 Casino and win big today!